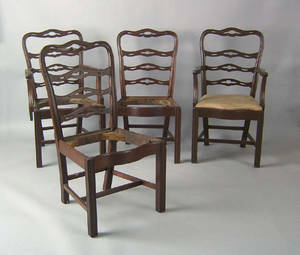 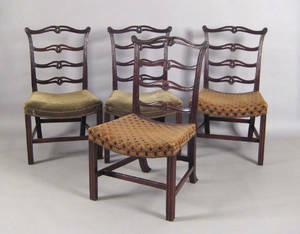 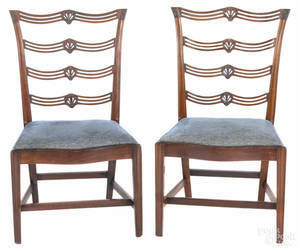 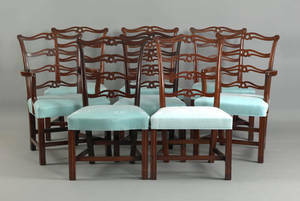 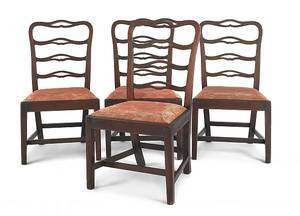 Set of 4 Philadelphia Chippendale mahogany ribbonback dining chairs, ca. 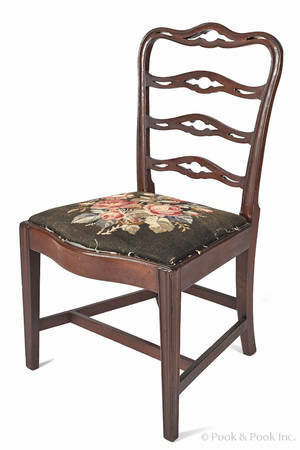 1780 , with pierced slats, serpentine seat, and molded legs, 2 chairs have added arms. 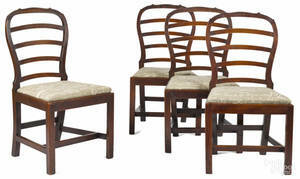 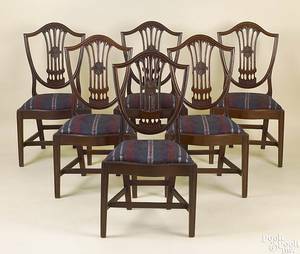 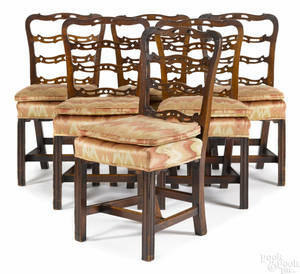 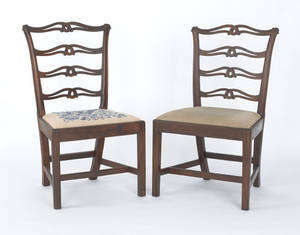 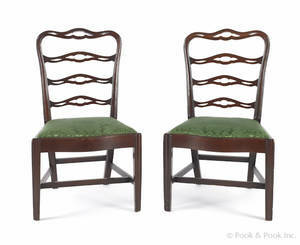 Set of 6 Philadelphia Chippendale mahogany ribbonback dining chairs, late 18th c.
The Logan family pair of Philadelphia Chippendale mahogany ribbonback dining chairs, late 18th c.